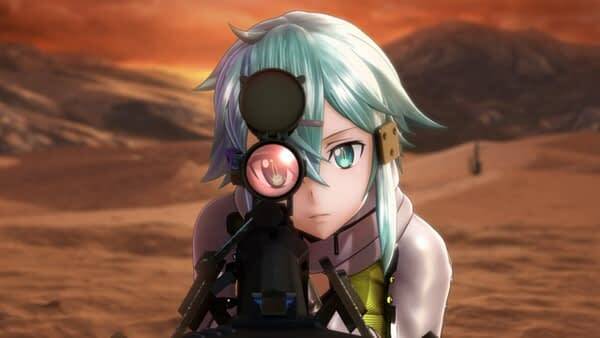 Bandai Namco announced today that Sword Art Online: Fatal Bullet will be receiving a new DLC and another grand release in January. First off, the new DLC on the way will be called “Dissonance of the Nexus” and will add several hours of gameplay as well as three new characters. On top of that, the game will receive a Complete Edition, which will be the core game and all of the DLC content rolled into one package. Both the DLC and the Complete Edition will be released on January 19th. Here’s some additional details from the developers. Bandai Namco is revealing three new playable characters in addition to Sachi in the Dissonance of the Nexus expansion pack. Core characters from Lost Song and Ordinal Scale will be joining the game’s roster in Dissonance of the Nexus. Seven from The Lost Song, the staff-wielding idol songstress who promotes peace through her music and is also the youngest sister of Rain. From Ordinal Scale, Yuna, the strong-willed AI pop idol and daughter of Professor Tetsuhiro Shigemura, and Eiji, also known as Nautilus, Yuna’s childhood friend turned love interest and member of the Knights Blood. Fan favorite Sachi, a member of the Moonlit Black Cats guild and long-awaited new character in fan voting polls, will finally join as a playable character in the Dissonance of the Nexus expansion pack!